What a yummy meal you had! am in love with your sewing machine!! I so need one as well.. I'm now waiting to see what you use the green thread from the previous post for! Oh brilliant Mel....I got a sewing machine for Valentine's Day too! Oooh, that's a posh sewing machine! Mine does straight stitches and zig-zags. That's it. I've made so many things with it though - and it was my mum's before I had it. It's about 35 years old and still doing well (though I haven't used it much in recent years). 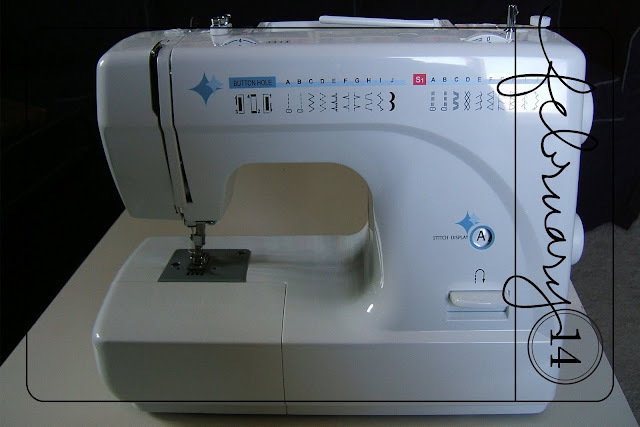 I'm hoping your sewing ventures inspire me to get my sewing machine out to make a few things. Its been gathering dust in the closet.